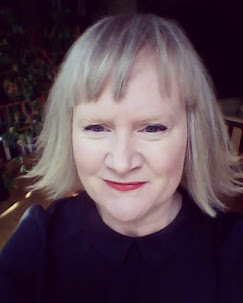 I'm asking that question because, after all the research I did for my historical novel, Unfashioned Creatures, I came to the conclusion he really should have been. My heroine, Isabella Baxter Booth, is on the verge of a nervous breakdown in 1823, and her husband is suffering bouts of madness. When I first began telling her story, I hadn't planned to have a doctor as a narrator and character as well. But as I uncovered more in the course of my research, I realised that I had to. There were just too many Scots working in the field of psychiatry at the time to ignore them, or have them play a minor role. Just look at the roll-call of names and you'll see why I believe Freud should have been a Scot, would have been a Scot. I don't mean he should have been transported from Vienna as a baby and brought up in Leith, exactly. Just that the 'father of psychoanalysis' really ought to have come from Scotland. So here are just a few of them - fathers to the father of psychoanalysis, if you will. 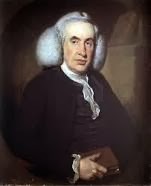 We'll kick off with the grand-daddy of them all, William Cullen (1710-1790), who named the nervous system, which kind of helps when you're looking at what upsets people. 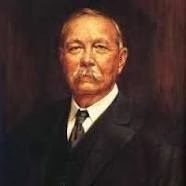 William A. F. Browne (1805-1885) was the director of the Royal Montrose Lunatic Asylum (which features in my novel), and innovator and author of What Asylums Were, Are and Ought To Be (and his controversial son, James Crichton Browne, (1840-1938). George Combe (1788-1858) was the founder of the Phrenological Society. His brother, Andrew Combe (1797-1847) wrote extensively on 'mental derangement'. John Ferriar (1761-1815) wrote 'A Theory of Apparitions' where he argued that ghost-sightings were workings of the brain. John Abercrombie (1780-1844), who followed the Edinburgh philosophers of the mind, with an emphasis on observation and instruction ("Inquiries concerning the Intellectual Powers of Man and the Investigation of Truth"). 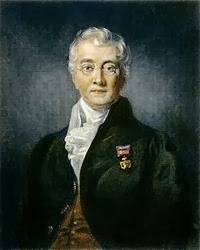 And Sir Charles Bell (1744-1842) was an authority on the nervous system. All of them were Scots. Without their pioneering work - even the faulty 'phrenology' theories - you wouldn't have psychiatry and you wouldn't have psychoanalysis. The fascination with the mind coincided, of course, with the Enlightenment in which much more famous Scots like Adam Smith and David Hume played a crucial part. Hence philosophers like Thomas Reid are becoming interested in how the mind works, and what makes a human being human is being discussed everywhere. "In order to conduct analysis with success, much depends on the previous knowledge of the person who conducts it. It is evidently required that he who undertakes to examine in this branch of science in this way, should be acquainted with the human mind in its sane state, and that he should not only be capable of obstructing his own mind from itself...he should be able to go back to childhood and see how the mind is modelled by instruction...."
I first read this in one of Crichton's books, still held at the University of Glasgow. I was quite amazed - I knew Freud didn't come out of a vacuum, he didn't just suddenly appear at the end of the nineteenth century with theories about women and hysteria that came from nowhere. Decades of work on the mind - which began when experiments on the brain separated the two (producing the 'duallists' of the time) - had existed before he began producing his writing on the subject. But I didn't know how much of it came from Scotland, and from Scottish physicians. That Crichton should be advocating those dealing with the mentally ill should 'go back to childhood' - although not in a Freudian sense that we would understand it today - was extraordinary to me. And so I read more, and discovered more. And what I also found out was that while Edinburgh was the centre of medicine at the end of the eighteenth century and beginning of the nineteenth - by the end of the nineteenth, it was known better for forensics, thanks, ironically enough, to another Scottish physician who would become very prominent but in another field altogether: a certain Arthur Conan Doyle. I tried to find out what had happened - where did all those pioneering researchers go, what happened to their work? What I found was a host of unsure answers by academics who themselves could only speculate - perhaps it was the rise of institutionalised 'madness', as asylums and hospitals grew bigger and bigger, that put people off entering the profession. Perhaps it wasn't seen as a good career move for a young doctor. Perhaps the best brains simply started going abroad. Whatever the reason, the mid to late nineteenth-century saw the dominance of the asylum and the authority of the "mind doctor" absolute over the patient - not necessarily what those early pioneers, many of whom really thought they could 'cure' madness, had envisaged. And so those pioneering Scots vanished, and with them any celebration of what they had done and the discoveries they had made. Their chance to be the greatest mind-doctor the world has known disappeared with them. And Freud took their place. For anyone who wants to read more, I recommend Allan Beveridge's 'On the Origins of Psychiatric Thought: The Contribution of Edinburgh 1730-1850'.